Where do I find Beaglier puppies for sale in Australia? There are a number of methods available to find the Beaglier puppy to suit you and your family. Beagliers are not a very common breed at the moment although their popularity is rising. Locating a Beaglier breeder can be a little difficult but one of the best ways is to go through a breeders agent such as Chevromist Kennels. They will have contact with many different Beaglier breeders and are often the first to be informed of upcoming and available litters. A reputable breeders agent will provide you with helpful information to care for your Beaglier puppy. They will also ensure that the puppy has had the appropriate vaccinations, worming, microchipping etc and provide you with all the supporting documents. We have found that Chevromist Kennels above and beyond in the level of service provided to new owners both before and after adopting a puppy. They have a wealth of knowledge about the breed from their years of involvement with the breed. We have no hesitation in recommending Chevromist Kennels to anyone in Australia and nearby countries wishing to adopt a Beaglier puppy. You can visit their website with photos of their beautiful puppies at www.chevromist.com or view their contact details on the site an give them a call. They also have notification lists that are free to join to be notified of future litters if you are planning to adopt a puppy soon or in the future. What is the price of a Beaglier puppy? The price range of a well bred Beaglier puppy in Australia is between $1200 – $2000 depending on the quality of the puppy, heath testing (such as for PRA) and taking in the differences between different breeders. Beaglier puppies can be found for a cheaper price but the quality of the dogs will reflect the reason for the lower price. The initial cost of a dog may seem high but a few extra dollars spent upfront for a 12 – 15 year companion will save you a ton of expense and heartache down the road. For example, the slightly higher cost for a PRA tested dog is a small price to pay to avoid this terrible genetic condition. Whoever you choose to buy your Beaglier puppy from, should be available for ongoing support for you and your family. References from owners of previously bred Beaglier puppies will greatly assist you in making your decision. Shelters are another option for your Beaglier puppy and are worth a look, but due to their low dumpage rate, they rarely turn up in shelters. How much does a Beaglier cost to keep? Are there many Beaglier breeders? At the moment professional Beaglier breeders are not very numerous, making the Beaglier a fairly rare dog breed. 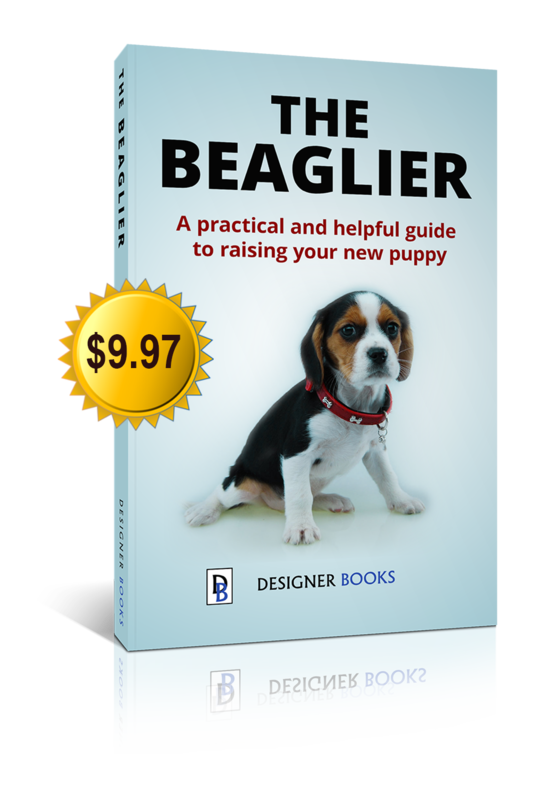 The Beaglier’s popularity is rising rapidly in Australia and also in dog loving nations around the world. Even in Australia the number of active Beaglier breeders is estimated to be less than 80. Are Beagliers good with children? Beagliers are fantastic with gentle and respectful kids and love to keep them company. They make great companions for active kids, wanting to part of all their games. They have a high tolerance for kid’s antics and develop strong bonds with children. Young children should be supervised, and in particular when the dog is a young puppy to avoid accidental injury to the dog. Are Beagliers suitable for older people? Being a dog breed that will both delight in a walk as well as enjoy being a couch potato, they are highly adaptable to a less active lifestyle. They are small enough to be walked and managed by all but very frail people and will gladly obey instructions for a food reward! They should be trained to refrain from jumping up on people as they can knock over older members of the community accidentally. Do Beagliers make good watch dogs? Yes, Beagliers make great little watch dogs with their alert nature and natural inquisitiveness. They will often bark at strangers lingering around as they are an unusual occurrence. However, if you are looking for an intimidating guard dog to bite intruders, you will be disappointed. A Beaglier will probably want to make a new friend of the stranger once in your yard rather than scare him off! !